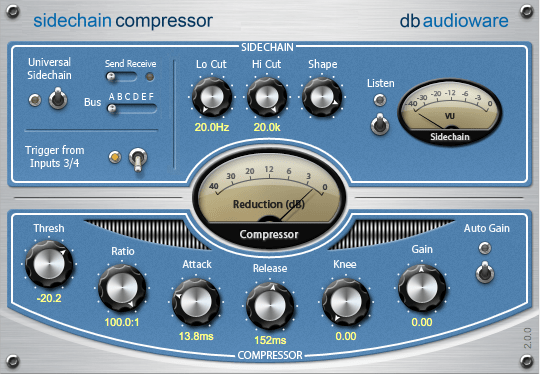 Sidechain Compressor is a flexible VST/AU compressor plug-in. It can be used as a regular channel strip compressor for clean crisp compression & limiting across a wide range of mixing jobs (e.g. adding punch to drum tracks or presence to vocals). 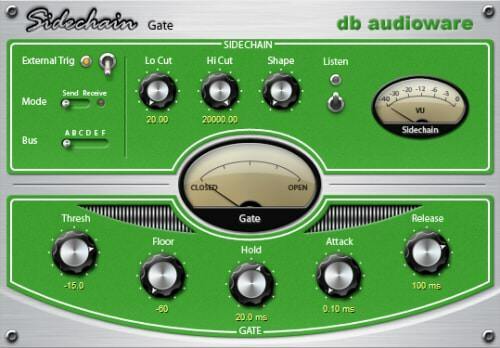 For additional flexibility, the sidechain controls (Lo Cut/Hi Cut/Shape) let you customise the compression response. 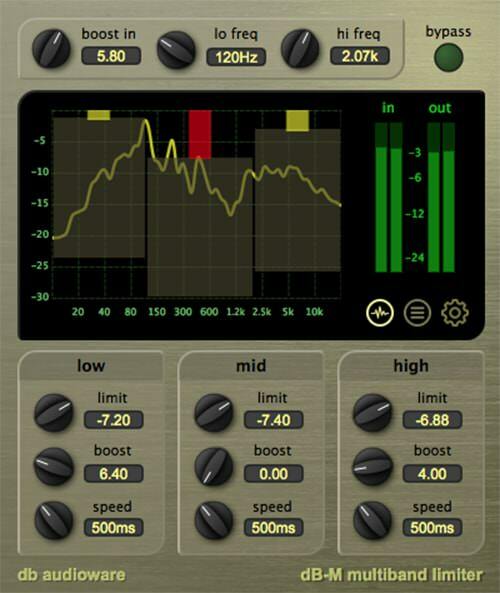 dB-M is an mastering tool for fine-tuning the dynamics and loudness of your mix.